Following the death of her best friend, Michelle Taylor changed her life. She returned to her maiden name, sold her specialty food store and moved back home with her two boys. Egged on by her sisters, she jumps back into dating, but after a few horrible lunch dates she immediately jumps back out. 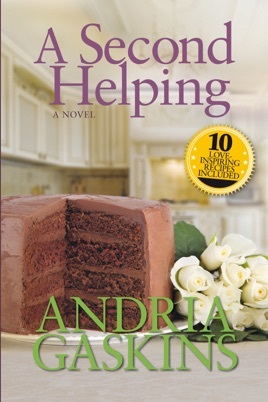 She decides to focus her energy on refurbishing an old farmhouse she purchased while going through a divorce. A chance encounter at a local barbecue restaurant lands her the perfect contractor. Not only is he qualified for the job, but he's the first man in a long time to make her flustered and tingly. During the renovation, she struggles to keep their relationship strictly professional. Damien Anthony avoided getting involved with clients. Over the years he’d had his fair share of offers from women wanting him to lay more than hardwood floors. He refused to cross that line. He had enough issues with women in his personal life, he didn’t need to bring them on the job. But when she steps into his aunt's restaurant he has to reconsider. All it took was a captivating smile and some blueberry muffins, and he was hooked. Now he has to figure out a way to maintain a working relationship with this beautiful new client and pursue her at the same time. Eventually, Michelle gives into their mutual attraction only to have Damien insult her. When her ex-husband moves to town he brings a truckload of regret, attitude and drama. All Michelle wants is to live her life in peace, but how is she supposed to do that when she’s stuck between the man she’s afraid to trust with her heart and the man who broke it?